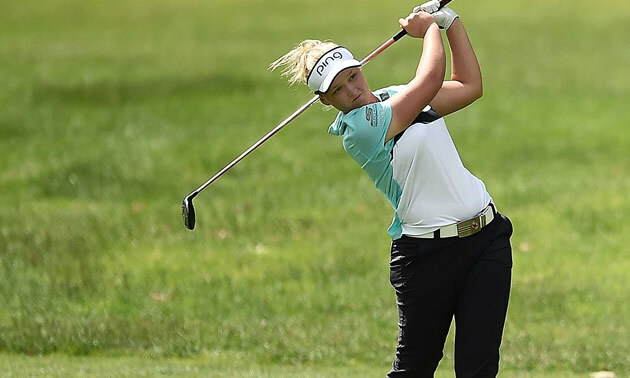 Brooke Henderson managed to hold off all challengers on Sunday, June 17th, as she captured her fourth LPGA Tour title at the Meijer LPGA Classic for Simply Give. Henderson, who had some of the biggest names on the LPGA Tour chasing her all day including Michelle Wie and Lexi Thompson, fired a bogey-free 3-under-par 66 (as the par-5 5th hole was once again converted to a par 3 because of standing water in the fairway). Brooke's win makes 15 different winners so far on the LPGA Tour in 2017, and Thompson said that speaks to the depth of talent on the Tour. The LPGA Tour heads to Arkansas next week for the WalMart NW Arkansas Championship presented by P&G, where Ko defends. Henderson, meanwhile, will take next week off and return home to Ottawa before heading into the KPMG Women’s PGA Championship as the defending champion.